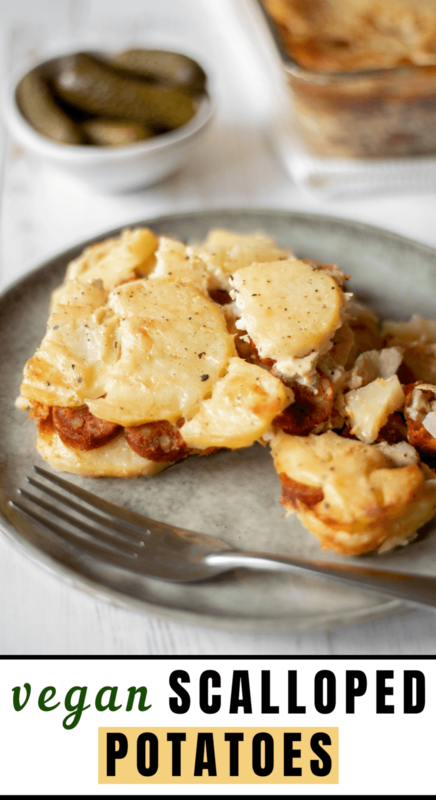 The perfect Vegan Scalloped Potatoes is made with vegan sausages. You heard it here first, folks. 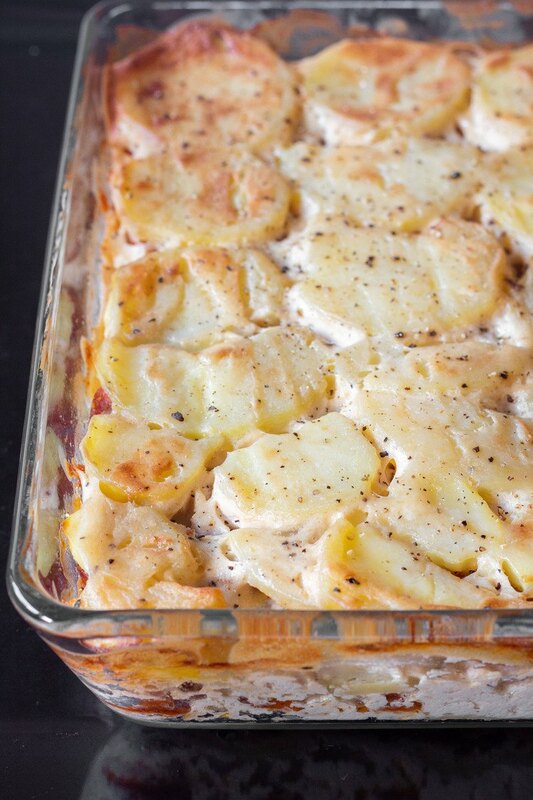 Anytime I get a serious craving for comfort food, it’s either a soup or scalloped potatoes. 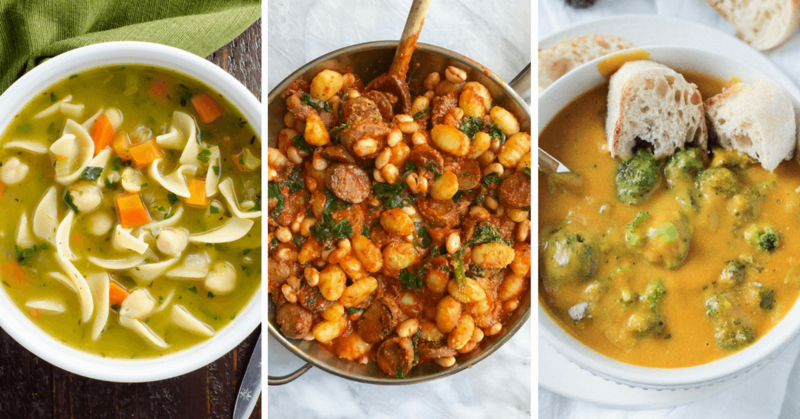 And while it’s much easier and quicker to whip up some soup, it’s soo worth the time to create this meal. 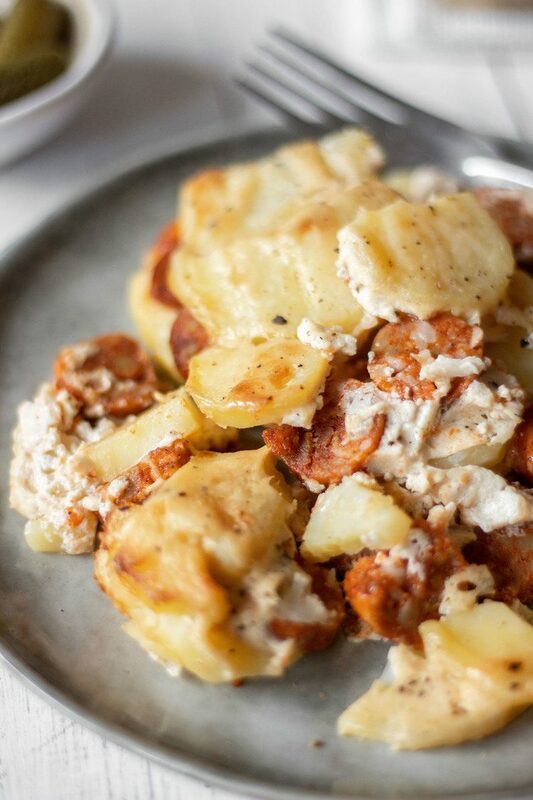 It is a creamy potato heaven that you you will dream of on cold Winter nights. And the good news is, that’s it’s super beginner-friendly and needs only a few ingredients. -an oven and an oven dish. I’m always amused when a meal this tasty comes together from so few and basic ingredients. It’s truly awesome. Start by cutting the potatoes into thin slices. Cook them in salted water (1 tbsp salt) for about 30 minutes, then gently rinse the water. Be careful not to break the cooked potato slices. 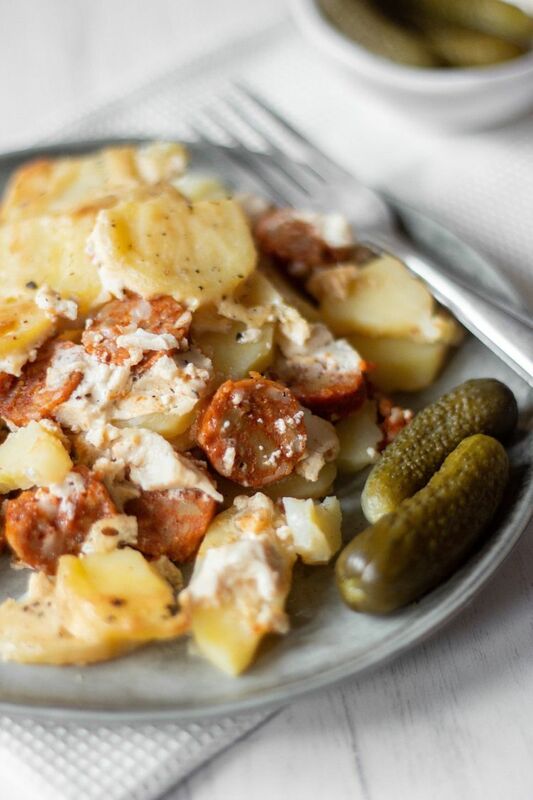 While the potatoes are cooking, cut the sausages into small slices as well. To make the sour cream mixture, simply mix the sour cream, oil salt and pepper in a bowl. Prepare a clear glass oven dish. Drizzle some oil on top to make it super crispy, then place the dish in the pre-heated oven (400° Fahrenheit (200° Celsius) and bake the scalloped potatoes for 1 hour. You they’re ready when the top layer and edges are golden brown. When your dish is ready, take it out, let it cool for a little bit, then serve with dill pickles. 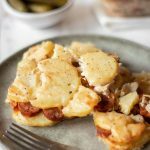 This Vegan Scalloped Potatoes is made with vegan sausages, making it the perfect comfort food dinner. 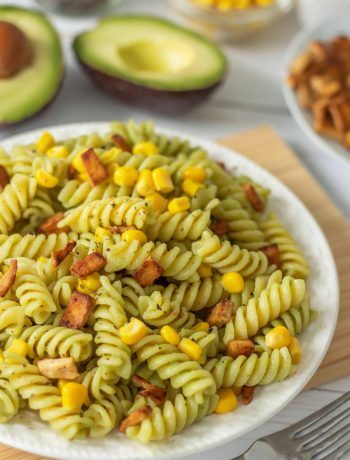 You will only need 6 ingredients to make this creamy heaven! Cut the potatoes into thin slices and cook them in salted water (1 tbsp salt) for approximately 30 minutes. While the potatoes are cooking, cut the vegan sausages as well. Mix together the sour cream, oil, salt and pepper. In a clear glass oven dish, start layering the ingredients. 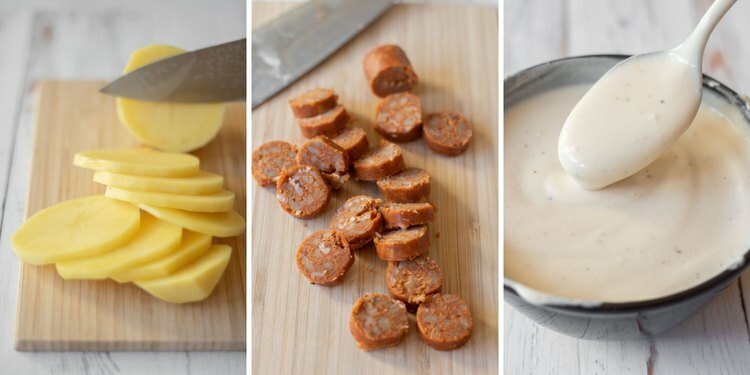 First the sour cream mixture, then 1 layer potatoes, sour cream, 1 layer sausages, sour cream and so on. The last layer should be sour cream. Drizzle some oil on top. When it's done baking, let it cool for a while and serve with dill pickles. I used this oven dish from IKEA. You can use Field Roast sausages or any other vegan sausages that are well seasoned and have a strong flavor. 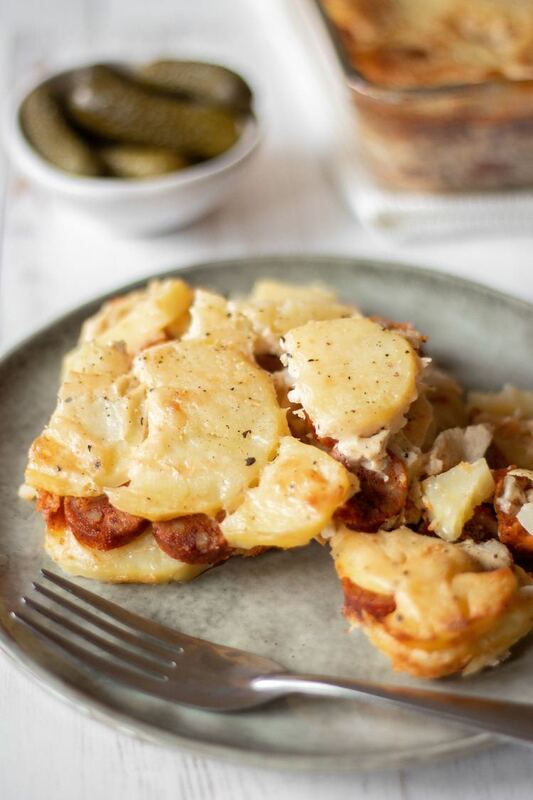 Did you make this Vegan Scalloped Potatoes? Let me know in the comments! 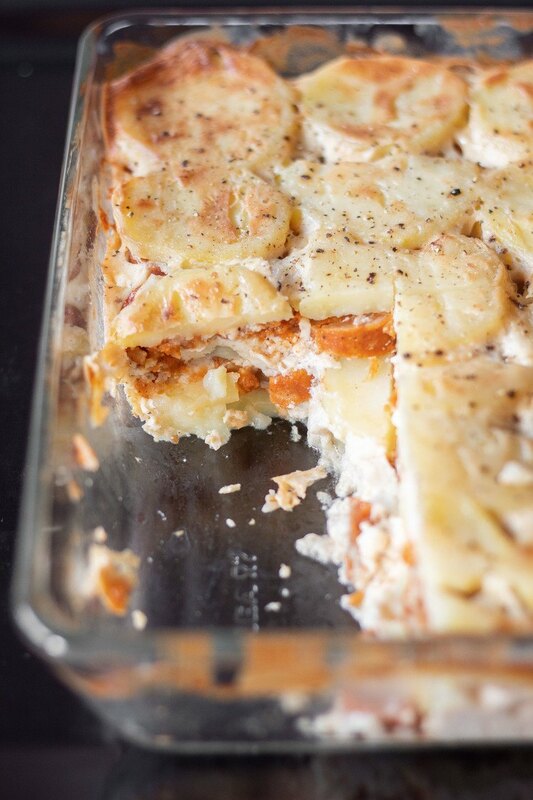 Oh gosh, that looks just like the Hungarian scalloped potatoes (without the boiled eggs)! It is made the same way too, except that we boil the unpeeled whole potatoes, then peel the boiled potatoes and slice them. 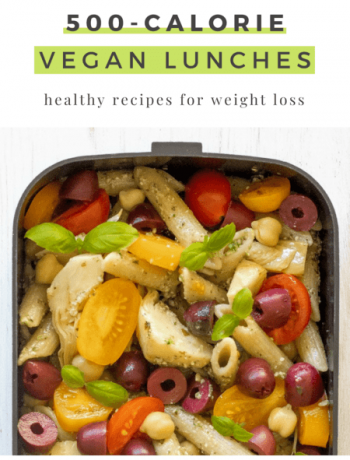 Never tried to make a vegan version. You made me crave it 🙂 It looks soo good.